Fiji is relatively free from most of the world’s serious pests and diseases. Biosecurity helps keep it that way. Global trade and travel, while bringing great benefits, puts Fiji’s agricultural industries and unique natural environment at risk of devastation from a range of serious pests and diseases. Biosecurity aims to protect Fiji’s natural and economic assets while minimising disruption to the international movement of people and goods. The following are just some of high risk pests that BAF targets on imported sea containers. These pests can easily hitch hike or stow on or in cargo containers, and that we definitely don’t want getting into Fiji. The Giant African Snail is said to be one of the most damaging agricultural pests in the world. The giant African snail can grow to over 30cm in length, eat over 500 different species of plants and can lay more than a thousand eggs each year. This pest could enter Fiji in empty containers or bags, under packing cases, pallets, in or on shipping containers, machinery or motor vehicles. Giant African snail is often intercepted at Fiji ports however BAF has so far kept this pest out of Fiji through vigilance and careful inspection of all imports. The Asian Gypsy Moth is a worst forest pest insect. It eats the leaves of more than 500 different species of trees and shrubs and causes enormous damage to the environment and the economy. This moth can also enter Fiji on ships, containers and cargos and a major outbreak of Asian Gypsy Moth in Fiji has the potential to destroy forests and native bush, trees, crops and the communities that depend on them. Biosecurity Officers inspects ships that are at high risk of transporting this pest. Red Imported Fire Ants (RIFA) is a highly invasive and destructive species of ant. It is more aggressive than most native ant species, and has a painful sting. It can also damage plant roots leading to loss of crops. They are also a threat to small animals such as birds. As well as inspecting ships and their cargo, Biosecurity officers also maintains a surveillance system to provide early warning of the potential entry of invasive ants. Exotic fruit flies present in many of our neighbouring countries pose high risks to our agricultural industries and could devastate many of the crops we rely on for our food and economic well-being. The most likely way for exotic fruit flies to enter into Fiji is in infested fruit. All commercial imports of fruits and vegetables are disinsected or are certified as being grown in a fruit fly free country or region. BAF maintains a system of fruit fly traps across Fiji. At present there are a total of 389 fruit fly traps in 166 sites around Fiji. These traps have been set up to check if any new species are entering the country.. Some of the sites include Suva, Nausori, Sigatoka, Nadi, Rotuma, Tailevu, Naitasiri, Taveuni, Lomaiviti, Lau and Vanua Levu. The Asian longhorn beetle is a wood-boring forest pest and a serious pest of hardwood trees. The beetle has the potential to devastate Fiji’s native hardwood species. The most probable means of entry of the Asian longhorn beetle is on imported timber and wood used for pallets and packing materials. Imported agricultural produce could carry an insect pest called khapra beetle. This beetle would have serious consequences for Fiji’s agriculture as it can destroy beans, lentils, rice, and a range of spices such as cardamom, coriander and cumin. 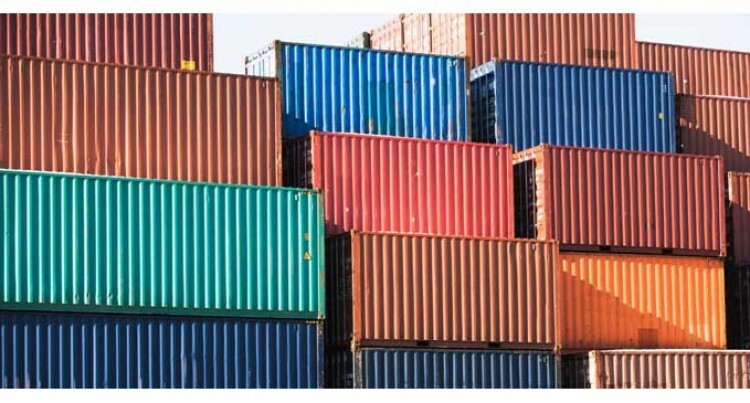 Other pests such as wasps, rodents, spiders and other types of snails are also frequently intercepted on sea containers coming to Fiji. Biosecurity is everyone’s responsibility and we should all work together to keep our country free from harmful exotic pests and diseases.